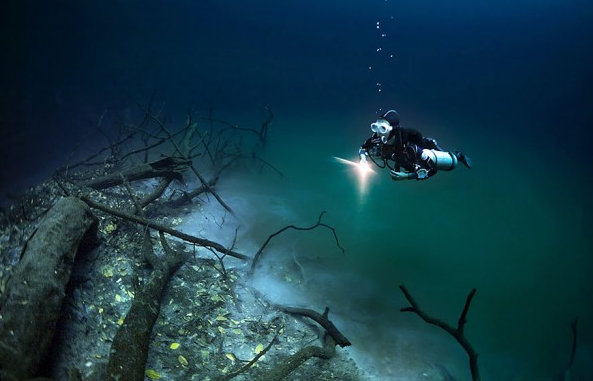 Cenotes are flooded caverns and caves prevalent in the Yucatan Peninsula. The water is fresh water and the visibility is 100 feet or more. Some Cenotes have haloclines where the fresh water and salt water meet and do not mix. There is some fresh water fish and animals to observe, but it is the formations of stalactites and stalagmites that make the dives interesting. Most Cenotes are very open and have lots of natural light. Divers must hold Open Water certification or greater. You are basically diving in the aquifer so use of bug spray and sunscreen is prohibited. This is a snorkel only site. Very close to Puerto Morelos, only about 20 minutes drive. This Cenote is a small cavern system with seven entrances. This Cenote is best at high noon when the sun can reach the surface of the water where it creates spot light rays that continue for nearly 500 feet. A very beautiful jungle setting where we find two Cenotes that connect underground. Dos Ojos is excellent for both divers and snorkelers. Divers will find two lines of exploration, the bat cave and the Barbie line. Two Cenotes to explore. Excellent light and beautiful formations. Halocline of fresh and salt water create an interesting visual effect. This is a sink whole Cenote that bottoms out at 165 feet. At about 90 feet there is a tangle of trees that have fallen in over the years. Their process of decay has created a layer of tannic gas, that gives the illusion of divers flying over a pond with an island in the center. Often paired with Angelita. Very classic cavern Cenote that is enjoyable for both divers and snorkelers. 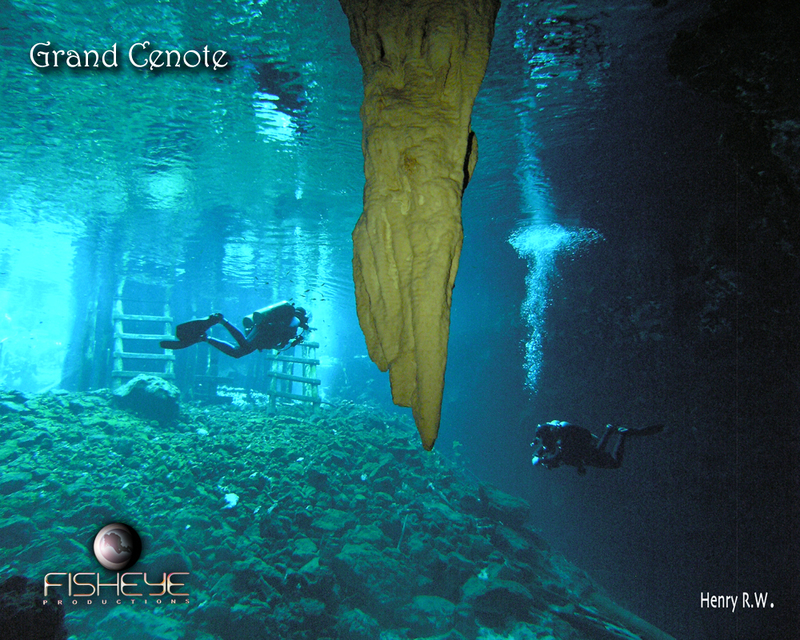 Sometimes called the white cenote because the formations have a layer of delicate white crystals. Brackish water Cenote in the mangroves for snorkeling and diving. The mix of fresh and salt water brings a mix of fresh and salt water life. Divers can explore through peat moss tunnels under the mangrove roots. Excellent site for bird watching.